Image Emil Landry. 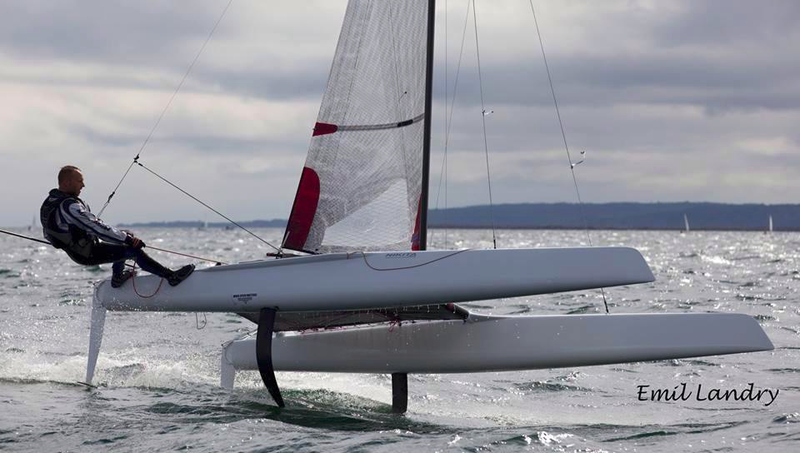 -- Weapon: Nils Bunkenburg designed the 'Nikita' in 2001, later he built the standard C curved boards for the As that were base for Dna Cs later Js, and Nils also was behind the Nacra F20 original C daggers. Besides the hulls being also a starting point for several current designs. Thomas Paasch won the Nordics 2014 with this Nikita, and the mods o the platform were done by Nils himself and Thomas. Tried to contact Nils several times for an interview, but never got reply. I will try again this week.